Bayo Oyenuga is a Rap Artiste who goes by the stage name DMSquared ,He became interested in music when his older brother bought him an electronic piano with preloaded beats with which he began to compose rhymes,He attended the highly regarded Nigerian Navy Secondary school, where he became prolific as a solo artiste and part of a music quartet garnering accolades along the way, although he consistently plays this down. While in pursuit of a degree in Architecture in Obafemi Awolowo University, he was part of the multiple award winning group Newwine performing all over the country and receiving constant airplay on stations across the country, and meeting future stars like Bouqui, Rooftop MC's, , Cobhams, Tosin Martins, etc. Apart from being co-owner of TDC Records, DM is also one of the owners and founders of Belgravia (a design agency) and Digimagine (a multimedia development agency), and is a keen supporter of Light Up Nigeria. 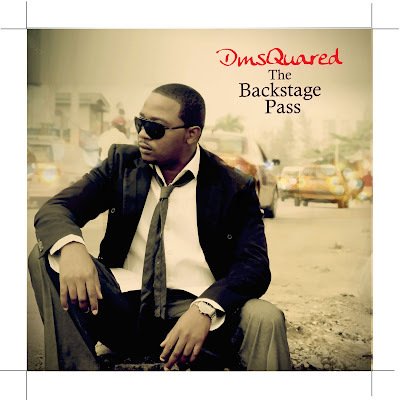 He just dropped a free album titled “The Backstage Pass”, which is up for free download. Listen to two tracks from the album below. loving this, can I get more info on this guy? I want to invite him for an event? Kehinde you must be either deaf or something, I just downloaded it on my ipod and it is the bizniss! cant get enough, where is he peforming next? All the way with DMSQUARED!!! now this is what I call music!!! Been hearing about this guy, download button straight!